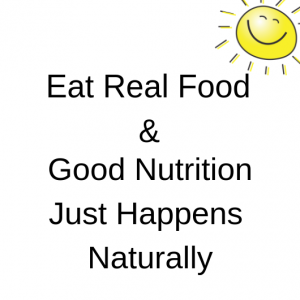 Eat real food and good nutrition just happens naturally. Do you agree? That good nutrition can be that simple? Or are you feeling overwhelmed? Well, I’m here to tell you that it can be “made simple”. That’s why I chose Nutrition Made Simple as the name for my wellness coaching business. Every where you read (look), there are articles (and news stories) telling you how to eat properly. Or, to try this diet or perhaps you should skip this list of foods. I’m here to tell you that it can be a simple subject. I admit that at one time (actually for quite a long time) I too was one trying all the diets to see which one fit me best. I researched the properties of food to no end. It was exhausting! I was frustrated. Perhaps this has been your experience too. Well I’ve made it past all those difficulties. So, don’t worry. It can become simple for you too. Listen to this: The only reason that nutrition has become such a difficult subject is that foods have been (and continue to be) introduced that don’t qualify as real foods. I could have added more to the list, but I don’t want to lose you. Please continue reading this article. In no way am I suggesting that you cannot eat these foods. It’s just that there are better choices. Yes, much better choices! Because, when we eat real foods we don’t have to think about nutrition. Good nutrition just happens naturally. You are going to have to trust me on this one (and stick around for future articles). 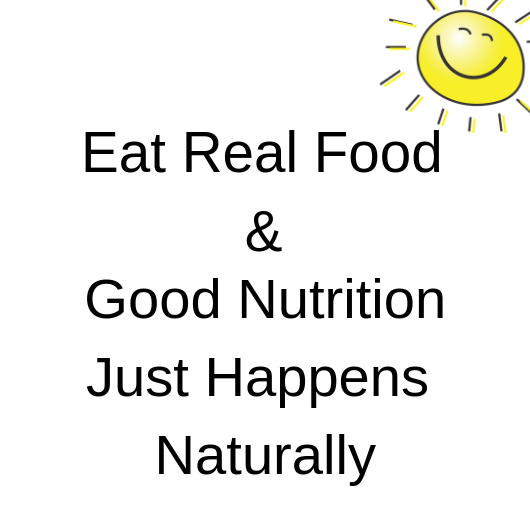 When we eat natural “real” foods our bodies will guide us as to what we should eat and we can even throw away the calorie counting and food rules for good. More so, these unnatural foods are are out of balance. They simply don’t contain the nutrients (protein, vitamins, minerals) and fiber we need. As a result, we become out of balance: our appetites don’t get satisfied and our bodies don’t receive the needed nutrients. Here is the good news. We can train our bodies to crave natural “real” foods. How do we do this? By eating real foods and avoiding those that are unnatural. It’s just that simple. So, is it time for you to make a change? Try a simple meal plan this week. For breakfast eat cooked whole grain cereal such as oats. At lunch have a large salad, loaded with leafy greens, colorful vegetables, nuts/seeds and a cooked grain to make it a meal. Snack on fruit in between meals if you are hungry. For dinner, I’m going to suggest more VEGETABLES. Cooked with a whole grain or baked potatoes. Beans and rice with a side salad. Did you notice I didn’t include meat? My purpose is to encourage you to eat all the other food groups! (If you eat meat, then I’m sure you don’t need any encouragement – other than…I think it’s important to choose wisely.) I’ve tried many “diets” and it just so happens that I feel best when I don’t eat meat. It’s been almost two years, but what I remember the most is that I would eat the meat and be done. I would be satisfied and skip all the vegetables and other foods I should have been eating. We miss out of many nutrients when we skip fruits, vegetables, nuts/seeds, legumes and whole grains. Here is another nugget of truth: You can get all the protein and fat you need also by eating this way (without meat) and get a load of other important nutrients. So, for the purposes of these posts and recipes, they will all be WFPB (Whole Foods and Plant-Based). Eating this way is low in calories, but high in fiber – which means you can easily get your “fill” of nutrients while keeping your calorie intake lower than eating the standard American diet. Yes, you might still crave the “other” foods, but if you think you are still hungry after a meal…just eat more! Eating more fiber to fill up your stomach will satisfy those cravings and they will soon dissipate. This is the truth and it’s truth worth savoring! I hope you learn to savor real foods and enjoy them to the fullest! I know this has been quite a long article, so I’m going to bring this one to an end. Let me know what you think. Your feedback is most welcomed. Let me know if this is the beginning of a new lifestyle change for you. Yes, I call it a lifestyle change instead of using the word “diet” because we all know that diets don’t work. They are just too complicated! Just stick around and I will prove to you that nutrition can become a simple thing. I want to help you create a new lifestyle. Perhaps you are in need of healing from certain symptoms, want to lose weight, have more energy or even just continue on your current path of health and wellness. 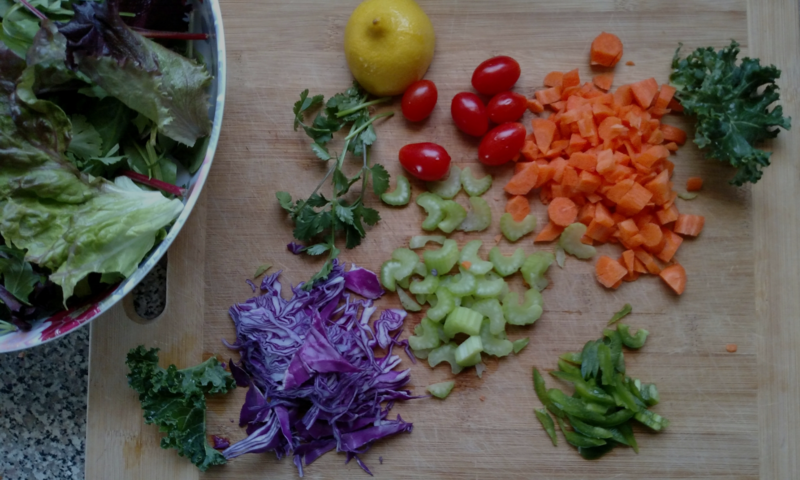 I invite you to subscribe to my newsletter so that you won’t miss any posts or recipes.